The 330 Sea Ray Sundancer model was updated in 1995. The hull bottom was redesigned for increased fuel economy, and a forward facing radar arch was added to produce a softer looking profile. The cockpit provides a fabulous comfortable entertainment area for your family with the redesigned U-shaped seating to starboard, a wet bar with icemaker and plenty of storage. Without a doubt, Sea Ray’s most popular model, and this one is well equipped with many options, including the preferred 7.4L MPI engines offering impressive acceleration and greater control around the dock. 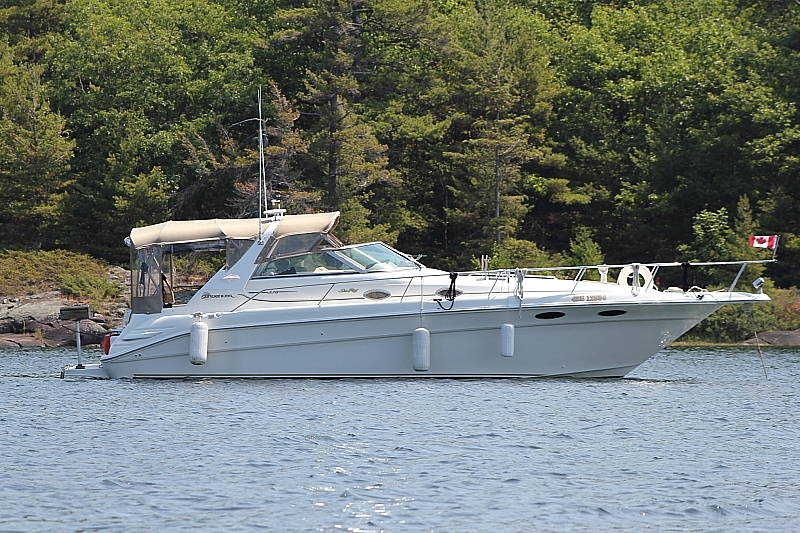 Be sure to see the video review of this 330 Sundancer, courtesy of boattest.ca, via the video link button below.